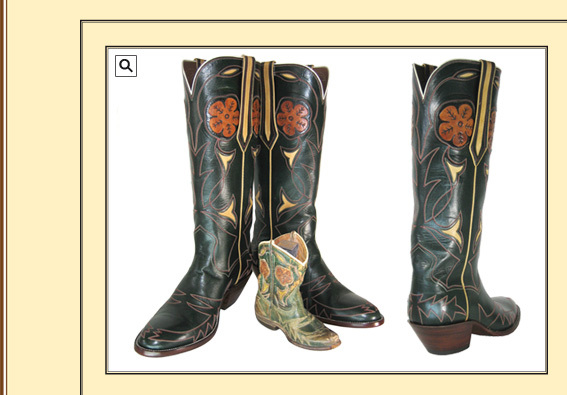 ﻿﻿This boot was reproduced for a client from an Acme boot that his Grandfather gave him 60 years ago. It’s made of green Italian tanned Kangaroo with hand tooled flowers inlayed in the tops and stitching on the heel and foot. It’s shown with a medium round toe and 2” dress heel.